When a boat sails fine on a mirror-shaded sea in almost silent. Of which the name Ghoster ..... A pure racing boat that was built after the R-rule of 1926. 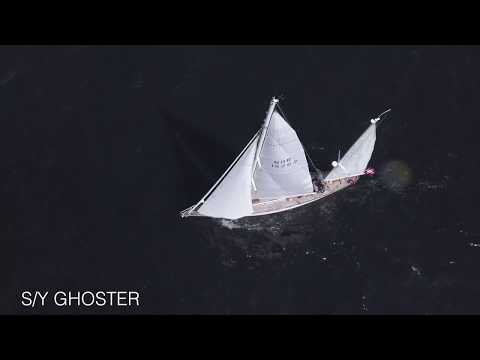 S / Y Ghoster is a 10mR - boat, a 10 meter. Do you want to do as previous owners and sail regatta in a regatta boat from 1927 against ultra modern regatta boats and continue to put the story into perspective. Then Ghoster can take you on this journey further. Charles E Nicholson was reckoned for Europe's leading yacht designers and he is the only one who has drawn 3 J class both to race in the Americas Cup. S / Y Ghoster was built and launched in Stockholm in June 1927 at the famous Stockholm boat building in the Negling yard in Saltsjøbaden.